Now that everyone is looking fresh, healthy, and happy after using their new coconut oil recipes, the other, equally, if not more, important, healing can begin…on the INSIDE. Coconut oil works wonders on physical ailments, but it’s diversity in of actions in the body earns it the respect and recommendation of many medical practitioners. Ingesting coconut oil is simple; replace it with vegetable oil. Not only is this a quick and easy solution, it can potentially save your life. Coconut oil is beneficial for heart heath. It is one of the healthiest fats you can eat. As a saturated fat, it contains 66% medium-chain triglycerides, which are fats not processed by your body like other fats. They are sent directly to the liver, and then ultimately to the brain to be used as fuel. These saturated fats are actually good for you! They increase HDL levels, which is good cholesterol, they do not cause heart disease, and they provide energy. As if all those positive benefits weren’t enough, the medium-chain triglycerides also help with weight loss. They have a lower calorie content than other fats, they are minimally stored as fat, and they contribute to enhanced metabolism to burn even more calories. Winner winner chicken dinner! Using coconut oil in your cooking can also help to improve your digestive system not only by increasing the absorption of nutrients, vitamins, amino acids, and minerals, but also with the antimicrobial properties of the oil that help fight bacteria, fungi, and parasites that can cause indigestion. Gut health has been related back to overall health, has been the root cause of inflammation, irritation, and can ultimately affect the quality of life of anyone. Along with an unhealthy gut comes Candida. Candida comes from excessive and uncontrolled growth of yeast and can cause a multitude of health maladies including skin disorders, low energy, bloating, thrush, and an elimination of good, healthy gut bacteria. Avoid the risk, love your gut, eat coconut oil and all of its natural anti-Candida components, and love your life. Oil pulling is another way to utilize the power of coconut oil. This is a technique that involves using a spoonful of oil to swish around the mouth (without swallowing) for 15 minutes or more. The health benefits of this practice include removal of toxins from the body and decreased plaque and gingivitis. It can also help cure canker sores and inflammation. Who wouldn’t want a clean mouth and bright, shining teeth that one can only assume mimics the health of the inner body? In addition to providing amazing benefits to your heart, your gut, and your mouth, coconut oil has a place in research looking at preventing and/or slowing the progression of Alzheimer’s. It has a role in strengthening your immune system and preventing the onset of viruses, like the common cold. It helps improve the body’s ability to absorb calcium and magnesium, which are important for your bone health. The health benefits of coconut oil are expansive, they could change your life, and they are easy to obtain! 1-2 tablespoons a day can DEFINITELY help keep the doctor away. 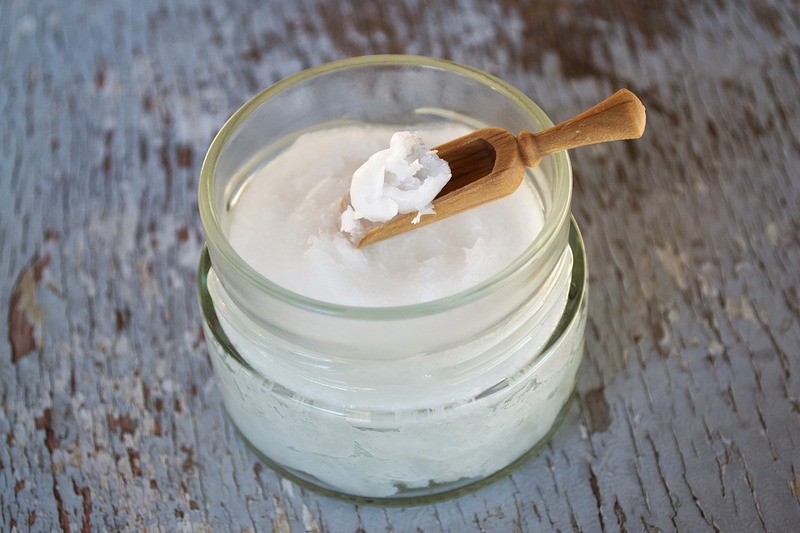 For questions or advice on getting started with coconut oil, come visit Annie’s Apothecary. We would love to encourage, support, and help guide you on your journey to self healing!